What is a Suboxone Treatment? Alliance Recovery Clinic offers the Suboxone treatment, a combination of two generic medications, buprenorphine and naloxone, to treat patients in Canton, Ohio who struggle with opioid addiction. Buprenorphine is an opioid with a slow metabolism and high fat solubility, permitting it to remain in the body for a long time and block other opioids from having an effect. Naloxone is an opioid antagonist that cancels out the effects of opioids when injected and often causes instant withdrawal symptoms. Suboxone is typically recommended for patients who struggle with heroin and other opiate addictions. As a partial opiate agonist, Suboxone only takes up the receptors in the brain that respond to opiates without giving patients the full high delivered by most opiates. Suboxone is generally less addictive than methadone, and the ingredient naloxone makes it difficult to intravenously abuse. Suboxone does not have to be dispensed in a clinic, so patients do not have to continually travel to our clinic in Canton, Ohio for their treatment. As a whole, Suboxone is less addictive than methadone and has a much lower risk of fatal overdose. At the Alliance Recovery Clinic in Canton, Ohio, we provide Suboxone treatments to patients who are struggling with opioid abuse. Our patients self-administer Suboxone sublingually, meaning the film absorbs underneath the tongue. Patients who use the Suboxone treatment should keep in mind that it can interact with other drugs that affect the central nervous system or cause drowsiness, such as muscle relaxants, alcohol, anti-anxiety medications, antihistamines and painkillers. We are an outpatient facility that specializes in the Suboxone treatment for opioid addiction. Our trained physicians and staff are the experts in guiding patients through the drug rehabilitation process. If you’re in Canton, Ravenna or Salem, Ohio and you’re struggling with opioid dependence, Alliance Recovery Clinic’s Suboxone treatments can help you overcome your addiction. Visits are by appointment only, so please contact 330-536-7461 to set up a confidential appointment and start down your path to recovery. 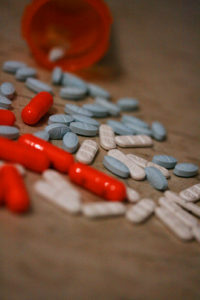 At Alliance Recovery Specialists, we specialize in affordable Buprenorphine (Suboxone) therapy for opiate addiction. This suboxone treatment has helped patients from all over the Alliance, OH, area.